I’m sure this comes as no surprise to anyone, but winter weather really takes a toll on your skin! 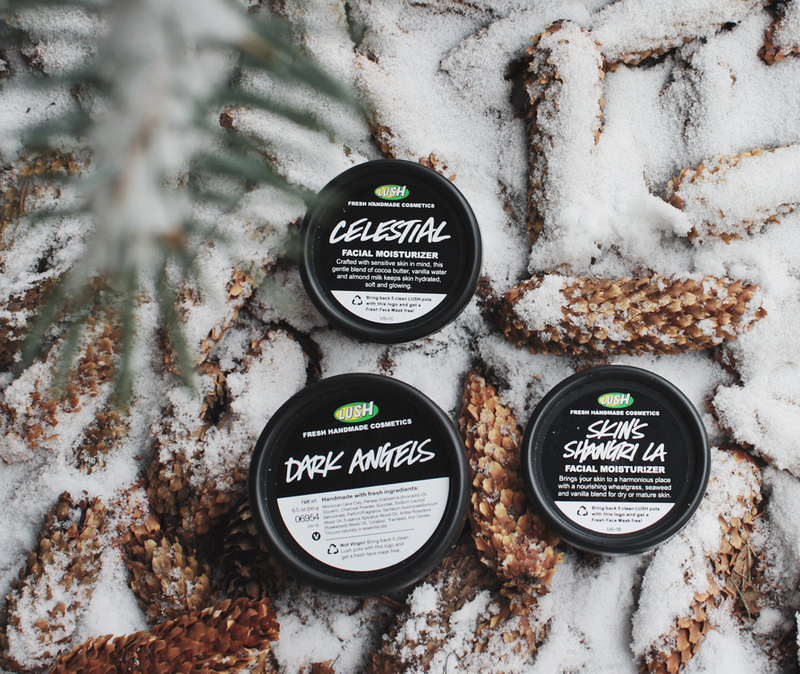 These three products from Lush, have been a staple in my skin care routine lately. They are really helping my skin survive the rest of winter! Skin’s Shangri La: I love how hydrating this moisturizer is. I’ve been using it at night for the last few weeks and so far I love it. My skin is always nice and soft when I wake up in the morning, so it must be doing something right! Celestial: I love that this moisturizer is a bit on the lighter side. I wear Bare Minerals powder foundation, and I find that if my moisturizer underneath is too heavy it makes my foundation look cakey. Nobody wants that, and this is the perfect amount of moisture for my day time use! Dark Angels: This scrub is really awesome. I’ve never used a scrub that involved moroccan lava clay before and i’m glad I finally have! My skin feels awesome and extra clean after using this. It’s also not to harsh which is great, because I have pretty sensitive skin.